Advancing Through Adversity – Part 4 – Advancing with His Power! 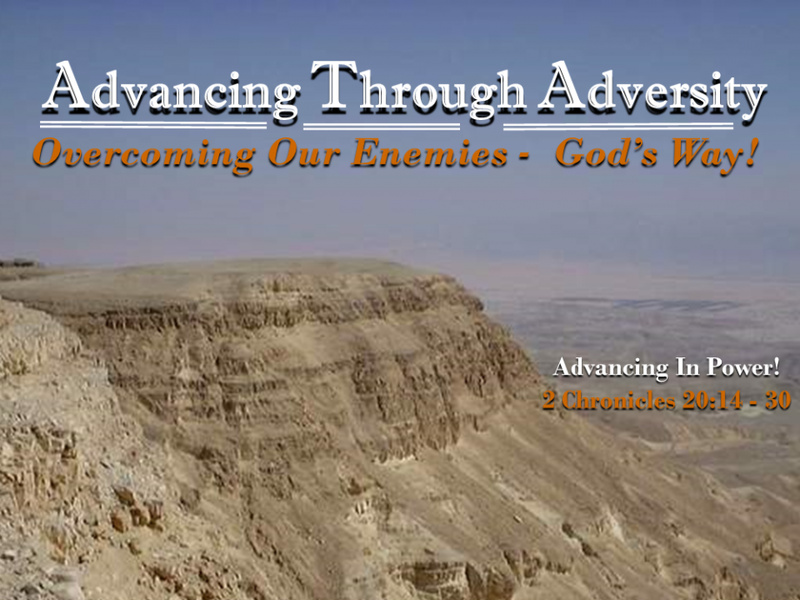 Advancing Through Adversity – Part 4 – Advancing in His Power! We see the end of the story of Jehoshaphat’s adversity. After advancing in place by getting his mind and heart turned to God and after calling together the people of God to pray, fast, and proclaim God’s power and ability, He now hears and responds to the word of the Spirit and sees the power of God displayed in his weakness.